Every winter weekend, hordes of day trippers make the journey from Melbourne to Mt Buller. 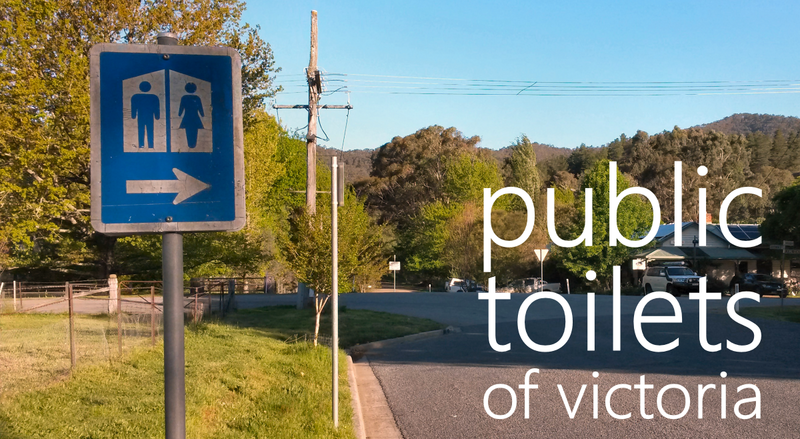 Two things are necessary if your country town wants to be THE place for a mid-trip stopover: a bloody good sausage roll and a top-notch public toilet. 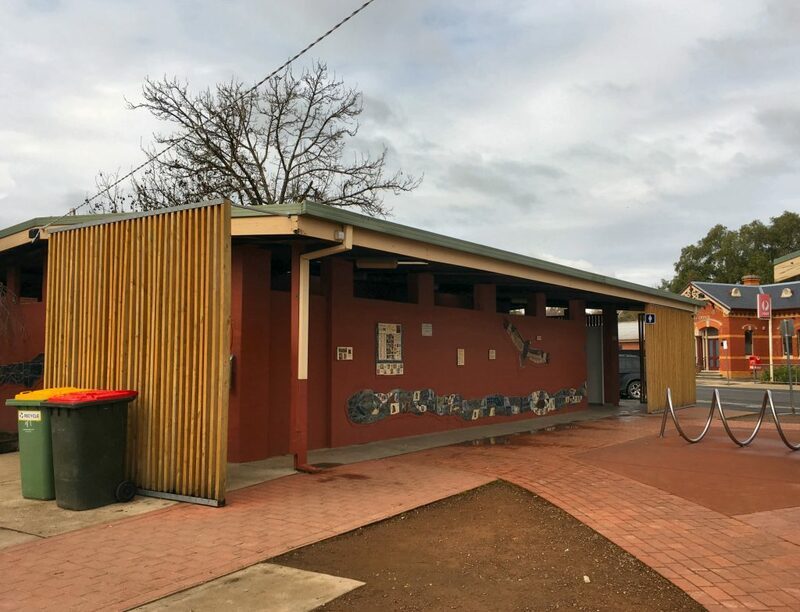 We ain’t Sausage Rolls of Victoria (yet), so: the public loo in Yea proves achieves that rare combo of good design and industrial-strength capacity. 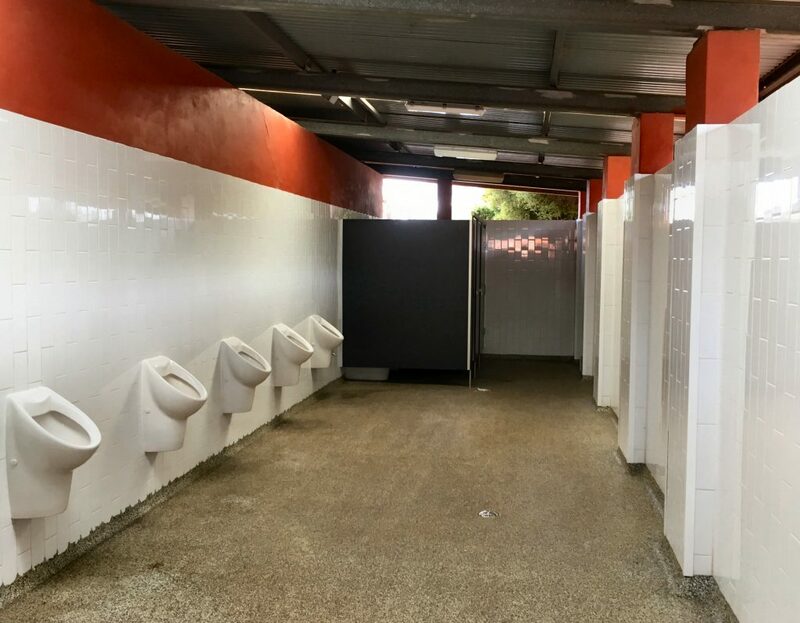 The men’s has got five urinals (women: this is a lot) and entranceways so wide that at least two men can run in simultaneously at a full sprint half-dressed in ski gear because after being on the road for 90 minutes the morning tortoise is well on his way out. And then there’s the “toil art”! No wonder print journalism is in decline! 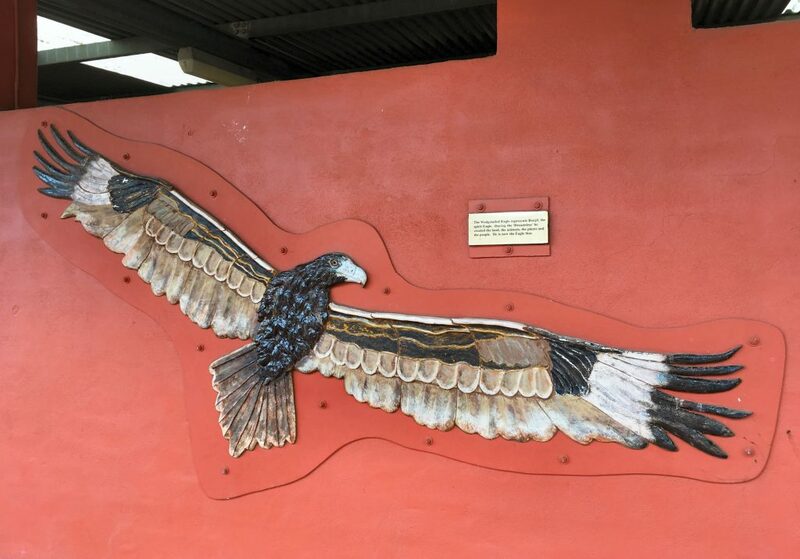 All the good writers and editors are working for local councils putting magnificent puns on civic structures! 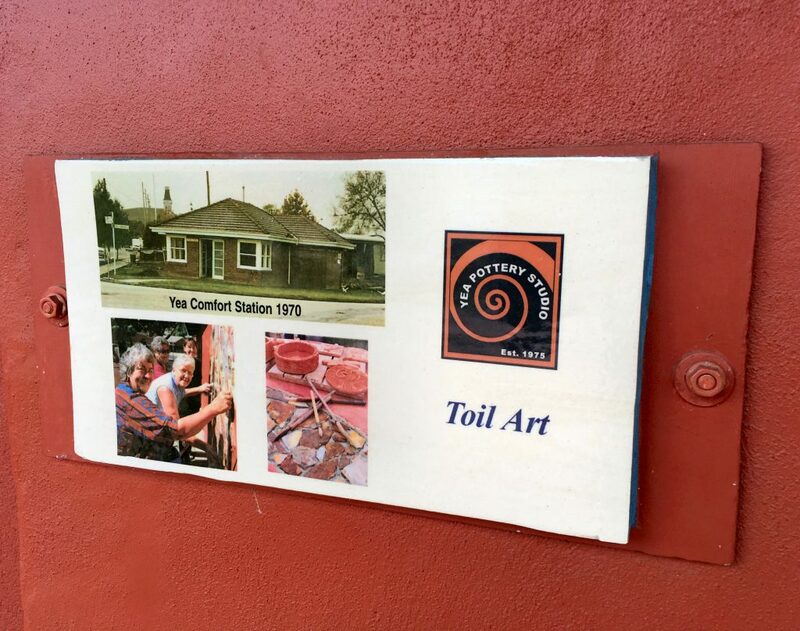 The above plaque shows the creation of the community-made clay artworks that now cover the front of the loo, as well as the toilet in 1970, which simply appears to be grandma’s house, open to all for tea and a wee. Preferred the old design,the long clean stainless steel wall a football team would of had no trouble at the bowsers, sadly upgraded! Good P P & S/Rolls. For a less swish experience there’s always the corrugated iron rec reserve one ’round the corner, texta-covered noticeboard and all!